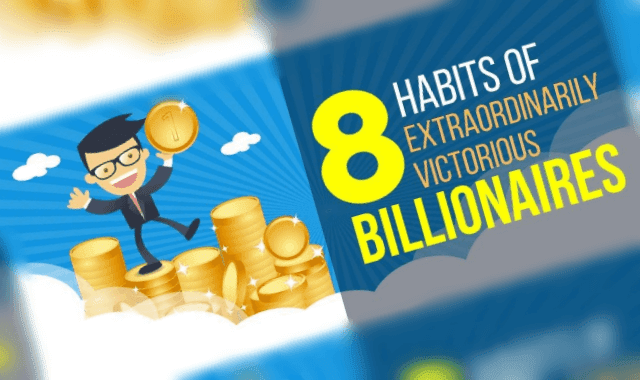 8 Habits of Extraordinarily Victorious Billionaires #Infographic ~ Visualistan '+g+"
Were you born poor and think there is no way you can climb the ladder to the millionaire list? There is hope, 68% of the 2013 Forbes 400 billionaire list are considered self-made billionaires. What are some of the other habits that they have? They are big calorie counters Another study found that most wealthy people limit alcoholic consumption and keep junk food snacks to just 300 calories per day.